As part of the 2011 America Invents Act, the United States Congress created a new process for challenging the validity of issued U.S. patents in the Patent Office (before the Patent Trial and Appeal Board –“PTAB”). Known as an Inter Partes Review (“IPR”), this process allows third parties to pursue a “mini-trial” against the validity of the patent at issue based solely upon prior art. This article reviews the IPR process as compared with a federal district court trial on validity, surveys how pharma patents have been faring in the IPR realm, and highlights our team’s recent win before the PTAB regarding a pharmaceutical formulation patent that was challenged as allegedly obvious. The branded pharmaceutical industry relies on patents to provide a period of exclusivity for innovative medicines and thus justify their large and often risky expenditures on research and development. As a result, the branded pharmaceutical industry has championed the importance of patents. In contrast, the fast-moving technology and electronics industries have often expressed concerns about costly patent litigation. These concerns have been magnified by the advent of “Non-Practicing Entity” litigants (otherwise known as “NPEs” or more colloquially “patent trolls”). These trolls, who make no products, use patents they own to seek damages from alleged infringers as a business model. In response to these concerns, Congress enacted the IPR process as a supposedly quick and inexpensive way for the public to challenge the validity of patents in the United States Patent Office. an ultimate determination within a statutory period of one year. Although rare, the Patent Owner may amend its claims in an attempt to avoid invalidity. (c) the way the patent claims will be construed (“broadest reasonable construction” in an IPR versus a narrower construction in the district court). These differences arguably make the IPR a forum where patent invalidity is more likely to be found than in district court. Ironically, the IPR procedure that was created in part to tame patent trolls has engendered a whole new type of patent troll – those without standing in federal court that seek to use the IPR process to gain financial reward. These new “IPR patent trolls” are not business competitors to the patent owner. Instead, they are third parties (including hedge funds and related entities) that are empowered by the statute to initiate and pursue an IPR. It has been speculated that they may be using that power to seek financial gain by either shorting the stock of the patent owner or obtaining some other financial settlement. Since the AIA’s enactment, the Patent Office has received over 5,000 Petitions to review patents. As of August 2016, 3,529 petitions have been completed, with 1,807 of those instituted. Of those instituted, Petitioners have invalidated around 70% of all challenged claims. With respect to biotechnology and pharmaceutical patents, there have been 331 petitions, 207 of which have been instituted. Among biotechnology and pharmaceutical patents, the invalidation rate has been approximately 45%. Despite the statistics and the lower standard of proof for invalidity, patent owners can and do win IPRs. Case in point: IPR No. 2015-00988, Coalition for Affordable Drugs II, LLC v. Cosmo Technologies Ltd. In this IPR, an entity formed by hedge fund manager Kyle Bass and his associates – that otherwise would not have had standing in federal court – brought a petition to initiate an IPR and invalidate U.S. Patent No. 6,773,720 (“the ’720 patent”) in the Patent Office. The ’720 patent is directed to an orally-administered, controlled release formulation of the drug mesalamine. Mesalamine treats ulcerative colitis – an inflammatory condition of the large intestine. Mesalamine provides its therapeutic benefit at the site of inflammation on the interior surface of the large intestine. It does not provide therapeutic benefit when absorbed systemically into the bloodstream. Thus, one challenge to making an effective mesalamine oral treatment is that it must release drug in and throughout the colon – bypassing the stomach and small intestine – and it must maintain relatively even or “controlled” drug release along the length of the large intestine. An added dilemma for the formulator is that oral dosage forms of mesalamine must contain large amounts of the drug to be of benefit (over 1 gram) – leaving little space for excipients. Yet, it is the excipients that are necessary to control the release of the mesalamine. Working within these constraints, the inventors of the ’720 patent created a two-matrix formulation that uses minimal amounts of excipients to control the release of large amounts of mesalamine – slowly and in the right place in the colon. The Petitioner’s challenge to the validity of the ’720 patent turned on two prior art references – the Leslie reference from over 23 years before the invention of the ’720 patent that did not mention mesalamine and the Groenendaal reference from 10 years before the invention. Although neither of these references referred to each other or spoke about a two-matrix formulation, Petitioner argued that there would have been a general motivation to combine the two references (simply because they both involved controlled release) and once combined the elements of the ’720 patent would be readily revealed. Although the PTAB did grant the initial request for review, after full consideration of the developed record, the PTAB concluded that the Petitioners had not proven invalidity by a preponderance of the evidence. In coming to that conclusion, the PTAB considered numerous distinctions from the prior art, including whether the particular chemical class of “waxes” called for in the challenged claims were disclosed in the prior art. The Board rejected the Petitioner’s broad statements that the prior art disclosed “waxy” materials and distinguished those from the actual “waxes” recited in the claim. The PTAB also found an absence of a motivation to combine the references; and also noted the complexity of formulation science – as conceded by Petitioner’s expert during deposition. Further, the PTAB credited the commercial success of the patented invention as an objective indicia of non-obviousness. There are many take home lessons from the experience. First and foremost, IPRs involving pharmaceutical patents can be won by patent owners. In many ways that should not be a surprise. The pharmaceutical and chemical sciences have repeatedly been recognized to be complex and unpredictable – hallmarks of non-obviousness. Second, identifying clear differences between the prior art and the claimed invention – and buttressing those differences with solid evidentiary proof in terms of literature and expert testimony – can help the PTAB understand why a claimed invention truly is different. Third, although some IPR decisions seem to discount commercial success and other objective indicia of non-obviousness, this form of evidence should not be ignored by patent owners. When presented to the PTAB, it can prove helpful. Fourth, as the IPR process unfolds, patent owners should not recoil from reiterating arguments that were apparently rejected at the initiation stage. The PTAB seems willing to reconsider its initial views when new information is presented. Fifth, one of the complexities of an IPR proceeding is that the witnesses are not actually observed at trial by the PTAB judges. While excerpts of deposition testimony are cited in briefs, there is no live testimony. For this reason, deposition testimony should strive to elicit clear admissions and important points from the other side’s experts. From the perspective of the petitioner, a claim of invalidity should be based upon prior art that is as close to the patented claim as possible. Where one needs to stretch the prior art’s disclosure to simulate the claim, proof of invalidity is likely lacking. As with many “solutions” to problems in the law, the IPR solution to supposedly “weak” patents and “patent trolls” has created concerns of its own. A procedure that permits important issued patents to come under attack, under a lower standard of proving invalidity, has the very real potential to weaken the patent system and discourage investment in important new research. Whether Congress should maintain the lower “preponderance of the evidence” standard for IPRs is a topic that should be discussed and debated. However, as things currently stand, the Patent Office has the important task of balancing the concerns raised by so-called “weak” patents with the goals of the patent system itself – promoting research and innovation. Pub. L. No. 112-29, 125 Stat. 284 (2011) (also referred to as the “AIA”). 35 U.S.C. §§ 311 and 312. 35 U.S.C. § 313; 37 C.F.R. § 42.107. 35 U.S.C. § 314; 37 C.F.R. § 42.108. 35 U.S.C. § 316(a)(5); 37 C.F.R. § 42.51. 35 U.S.C. § 316(a)(8); 37 C.F.R. § 42.120. 35 U.S.C. §§ 316(a)(9), 316(d); 37 C.F.R. 42.121. See 35 U.S.C. 316(e) (“In an inter partes review instituted under this chapter, the petitioner shall have the burden of proving a proposition of unpatentability by a preponderance of the evidence”) and Cuozzo Speed Techs., LLC v. Lee, 136 S. Ct. 2131, 2144 (2016) (“the burden of proof in inter partes review is different than in the district courts: In inter partes review, the challenger (or the Patent Office) must establish unpatentability ‘by a preponderance of the evidence’; in district court, a challenger must prove invalidity by ‘clear and convincing evidence.’”). See Cuozzo Speed Techs., 136 S. Ct. at 2142 (claims interpreted in broadest reasonable manner for an IPR). Patent Trial and Appeal Board Statistics, last updated August 31, 2016, available at https://www.uspto.gov/sites/default/files/documents/2016-08-31%20PTAB.pdf. Id. This excludes instituted IPRs that were terminated prior to a final decision from PTAB. M. Grewal, J. Hill, and K. Zalewski, “Trends in Inter Partes Review of Life Sciences Patents,” 92 BNA’s Patent, Trademark & Copyright Journal 3 (June 17, 2016). See, e.g., Eisai Co. Ltd. v. Dr. Reddy’s Labs., 533 F.3d 1353, 1359 (Fed. Cir. 2008) (“To the extent an art is unpredictable, as the chemical arts often are, KSR‘s focus on [ ] ‘identified, predictable solutions’ may present a difficult hurdle because potential solutions are less likely to be genuinely predictable”); Abbott Labs. v. Sandoz, Inc., 544 F.3d 1341, 1351 (Fed. Cir. 2008) (extended release formulation not obvious: “difficulties in predicting the behavior of any composition in any specific biological system.”); Eli Lilly & Co. v. Generix Drug Sales, Inc., 460 F.2d 1096, 1104 (5th Cir. 1972) (paraphrasing Churchill, the court noted that chemical compounds present a “riddle wrapped in a mystery inside an enigma”). Jason A. Lief, a partner in the New York office of Frommer Lawrence & Haug LLP, has a significant twenty-year track record of successfully representing clients in several dozen major patent and intellectual property litigations. 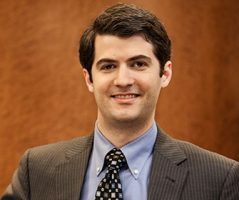 He has developed a reputation for courtroom excellence – conducting informative direct-examinations, pointed cross-examinations and presenting winning oral arguments. During his career, he has addressed all of the major issues that litigants face in patent cases, including infringement, validity and enforceability. He has argued before the US Court of Appeals for the Federal Circuit as well as before numerous federal judges and juries throughout the United States and has also made appearances in foreign courts pursuant to the Hague Convention. 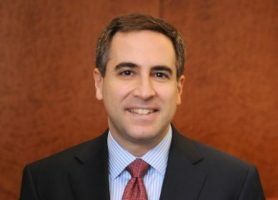 Jason Kanter works in the New York office of Frommer Lawrence & Haug and focuses primarily on Hatch-Waxman litigation. 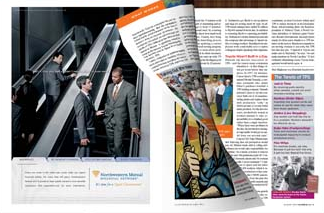 Much of his work is focused on case preparation involving the firm’s clients. With a deep background in the life sciences, Mr. Kanter has a particular expertise in the “science of law” and how changes in science impact the law. He examines variations within the intersection of science and law to determine how they impact a client’s case. Mr. Kanter is also a patent agent and is part of the firm’s patent prosecution practice. With an award winning education, Mr. Kanter thrives in the firm’s entrepreneurial environment that calls on all employees to leverage their unique skills and expertise for the full benefit if its clients. 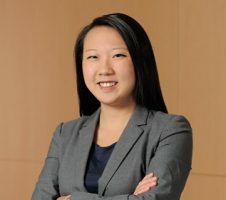 As an associate in the firm’s New York office, Janice Ye focuses her practice on pharmaceutical patent litigation under the Hatch-Waxman Act. She also has developed experience in other areas of antitrust and patent litigation. Throughout her practice, Ms. Ye integrates her diverse regulatory and business development background in the medical device and pharmaceutical industries to provide practical solutions for clients. Ms. Ye earned her J.D. at Boston College Law School, where she served as an Articles Editor for the Boston College Law Review and as president of the Intellectual Property & Technology Forum.